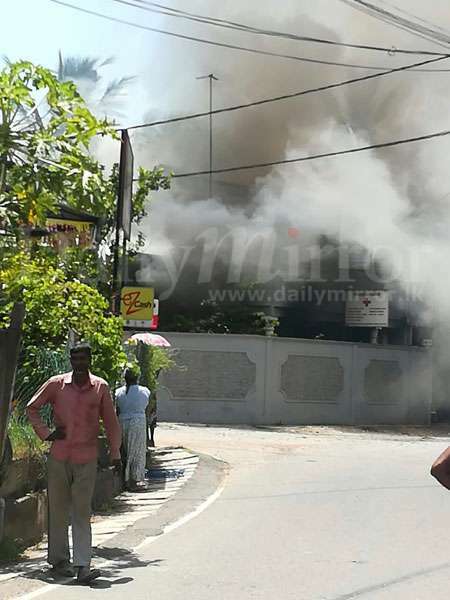 Fire which brought death to pregnant lady in doctor's house ... a mystery! 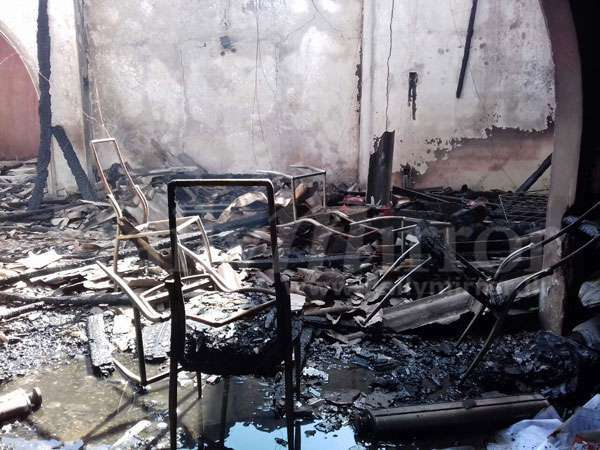 A house of two storeys in Bellnwila area where a doctor-couple had been residing had caught fire, resulting in severe damage and the lady doctor of the couple who was pregnant had passed away; leaving a question mark as to how this has happened. At the time of the incident, the the 63 year old doctor's mother who had been on the down floor had called the doctor-son and daughter-in-law who were on the top floor to rush downstairs swiftly. However as they were unable to come down across the blazing fire which had spread rapidly by then, the son has at that moment told the mother to come to the top floor, it was revealed from mother's testimony. Whatever it is, it was informed that the mother who was in a sick state was not able to go to the top floor passing the smoke, as such. Because of this to get out of the house she had found another alternative to come out of the house and thus was able to escape the fire. The doctor-couple and child were stuck in a bathroom upstairs while the mother who managed to come out had called for assistance from neighbours in which instance they had taken steps to notify the police. 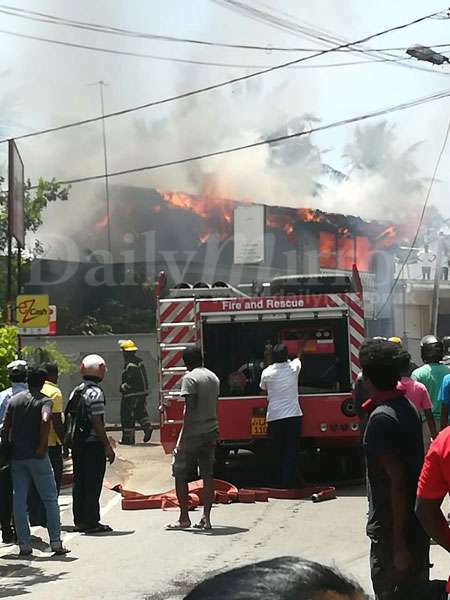 Boralesgomuwa had gone into action promptly and informed the fire rescue unit of Dehiwala Galkissa municipal council while a police team was dispatched to where the incident was taking place. By that time the fire rescue unit had already arrived and the fire rescue team and police have been active in rescue operations. They had scaled upto the roof of the two storey house where the doctor couple had been living and that was by placing ladders on concrete edges of adjoining houses and then gained access by breaking the roofing sheets. On inspection thereafter they were able to see the doctor couple and child fallen in the bathroom. The doctor couple and child were found fallen in that place in an unconscious state and and with great effort they had entered the house from the roof and taken the child out and sent him to the hospital by ambulance and the doctor couple who were next taken out were taken to hospital in the jeep belonging to Boralesgomuwa police. The police said that they witnessed the water tap was kept open there when the doctor couple and child had fallen there in the bathroom. A police officer said that the fire which started downstairs of the house had spread towards the top storey. No reason for the fire has still been revealed and severe damage of all property in the home and walls of the house as well is a problem. 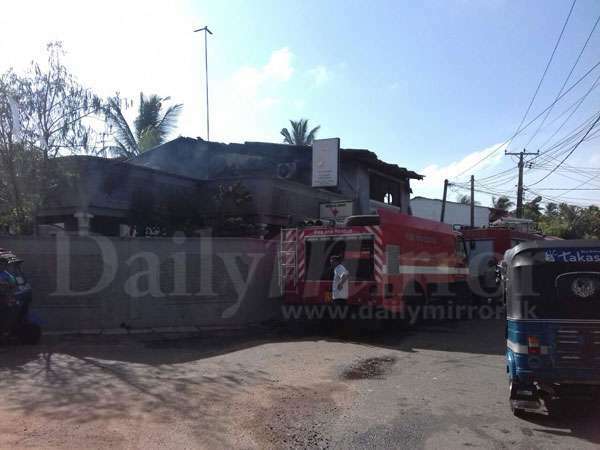 The deceased is a lady doctor called Vidarshani Dias of Horana basic Hospital aged 32 years. It is understood that she was pregnant for five months. 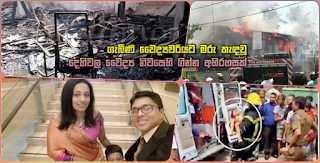 Her thirty six year old husband Mr. Anuranga Dias who is a an eye surgeon at Sri Jayawardenepura Hospital and 4 year old son are in a serious state under treatment at the intensive care unit at Kalubowila Hospital, it is learned. The doctor's sixty three year old mother had been in the house when the fire had taken place; but she had not faced any injuries. 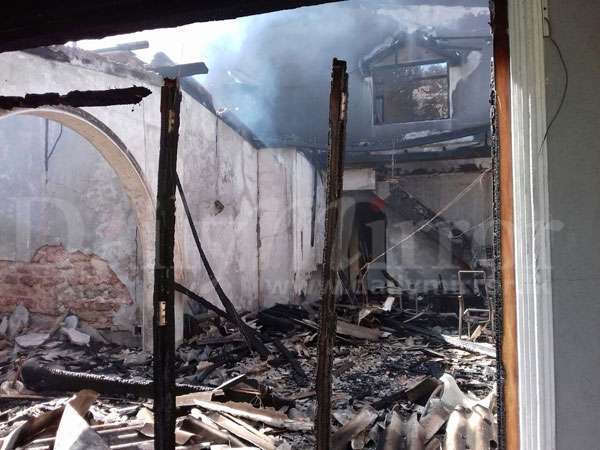 The deceased lady doctor and her eye surgeon husband had been maintaining a private medical centre and clinic adjoining this house, it is said. 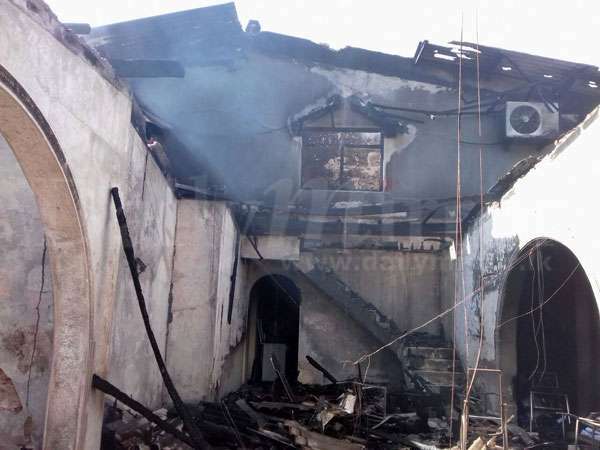 Officers of Government Analyst Department are to be summoned to find cause for the fire. The police on the other hand are conducting inquiries.